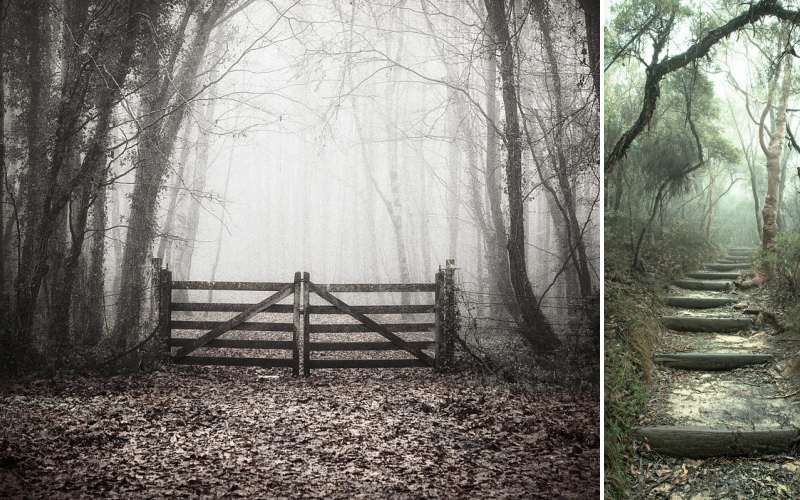 Do you enjoy haunted hikes? 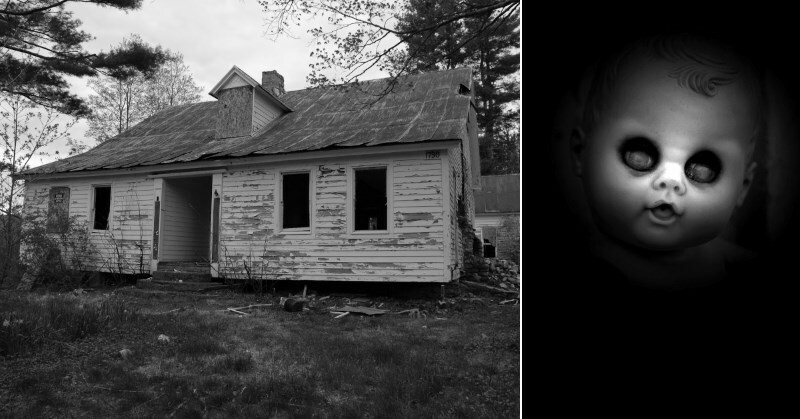 Want to experience the terror of coming face to face with the dreaded red-eyed children? Think you’re brave enough to take a night hike on the Secret Sidewalk, home of the White Witch? 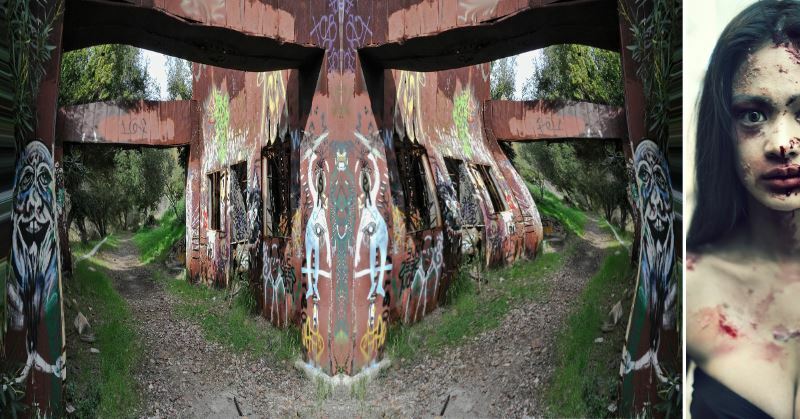 There are various haunted trails and hikes throughout the United States. Each with its own rich history and documented paranormal activity. 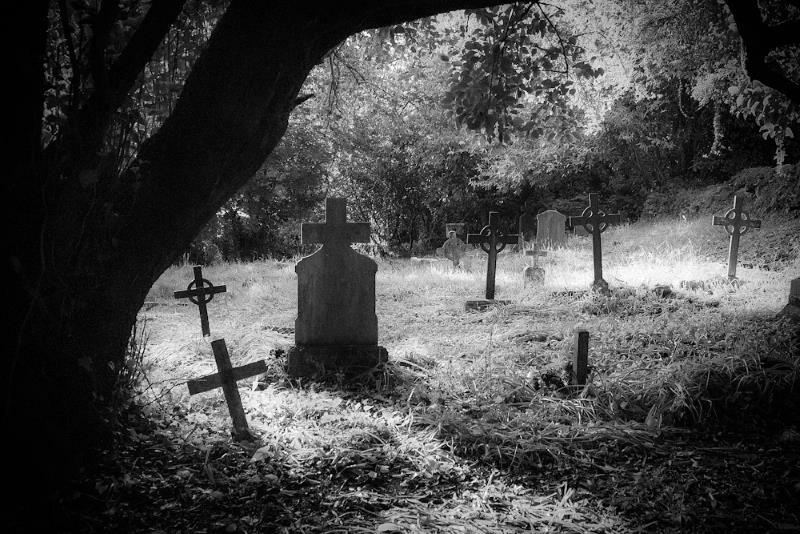 But I chose the following 50 haunted hikes based on both the gripping experience and the documented legacy of the locations. 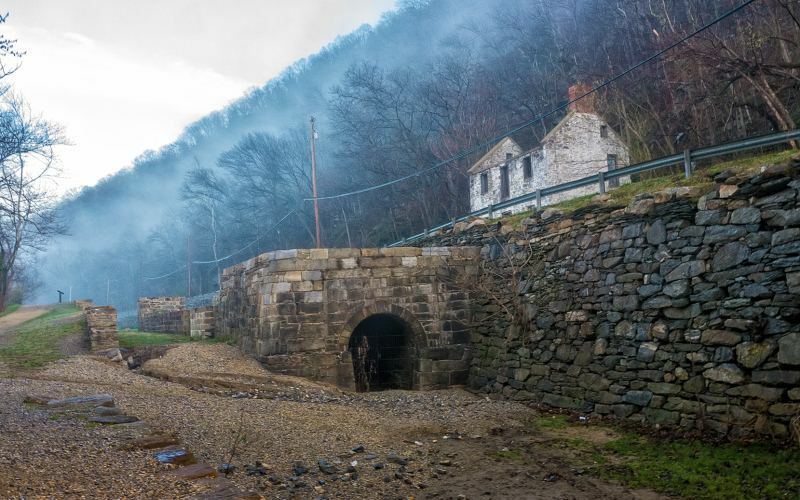 If you feel brave enough to try one, or more, of these haunted hikes, don’t be so quick to dismiss that noise behind you. …and you’ll be the next victim. Not even a legit phone psychic reading will prepare you for what you’ll face. 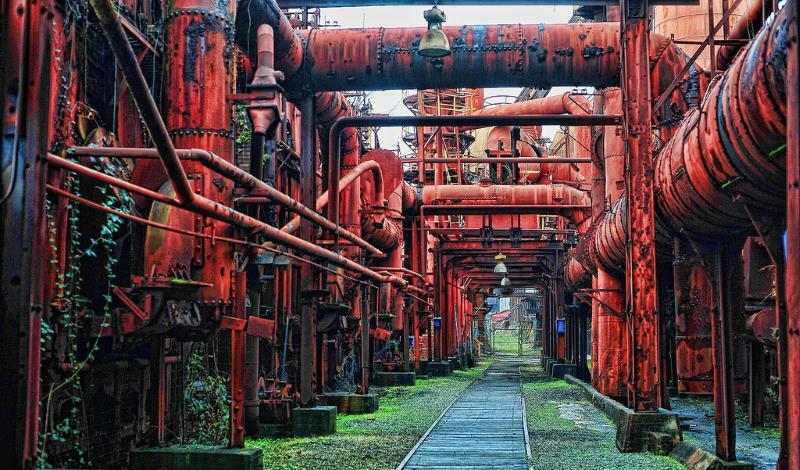 Over 100 reports of paranormal activity at Sloss Furnaces have been recorded by Birmingham Police. From small things like steam whistles blowing on their own, to traumatic incidents of physical assault by “something you can’t see”. Most of the incidents tend to occur after 11pm. Some visitors are dismissive of the incidents, but a tarot reader gifted with psychic abilities, believe the attacks are carried out by the restless spirit of the sadistic foreman, Slag. In the late 1990’s, the state of Alaska began developing a government housing tract in this area. But during construction, workers often reported having visions of phantoms and hearing “disembodied voices of both children and adults along the Old Copper Railroad”. As work continued, things got worse. Construction workers started reporting tombstones missing from graves and hearing wails of dead miners. Following that, the workers’ tools suddenly began disappearing from their tool belts and boxes. The project was soon abandoned. Now, all that’s left are the ruins and the spirits. 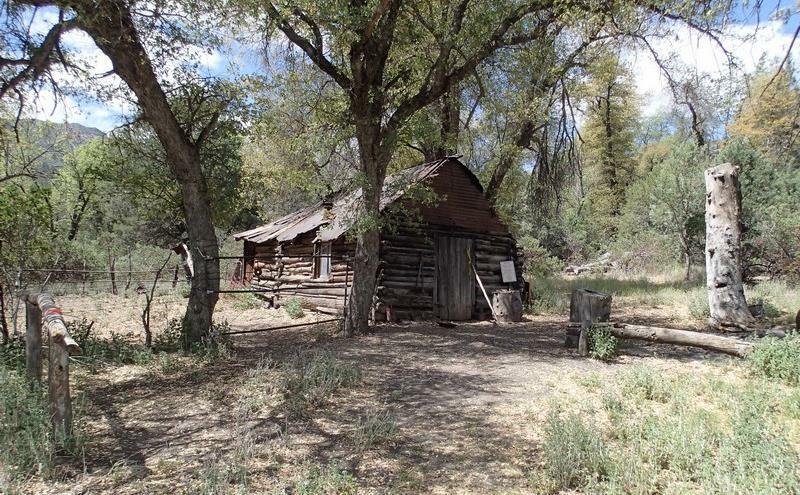 In 1913 William Toney built this log cabin and homesteaded 78 acres of the surrounding canyon floor. Toney, his wife Ella, and their 7 children called this remote area home. Female visitors sometimes report a sudden shortness of breath when in the vicinity of the cabin. Pinches on the back of the arms are also reported. Some believe it’s due to the spirit of William’s jealous wife Ella who haunts the area. 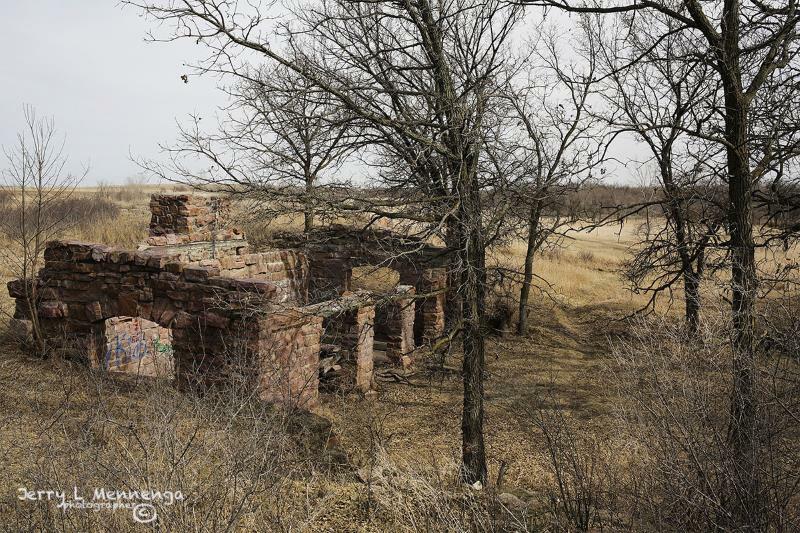 This is the only ghost town between the Mississippi River and the Rocky Mountains. 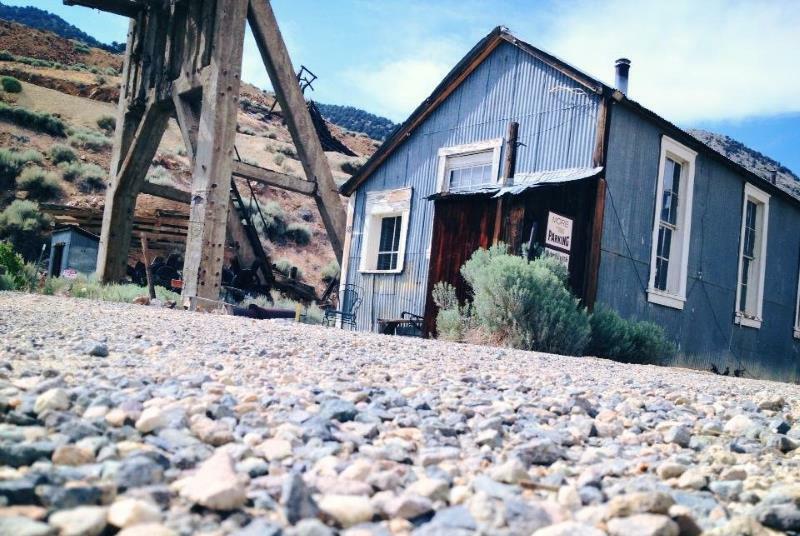 During the early 1880s, prospectors came to the Rush area in search of lost silver mines from Indian legends. The town experienced a sudden boom and a sudden collapse. Some believe the collapse was due to the falling demand of resources. Others say it was due to an Indian curse; that the old Indian legends of riches in this area were told to settlers in order to lure them to their demise. With a legacy crazier than a season of American Horror Story, Murphy Ranch is overrun with spirits and ghosts. Right here in Santa Monica. They constructed this ranch to hold tight until Germany won the war. The infrastructure built here included a 395,000-gallon concrete water tank, a 20,000-gallon diesel fuel tank and a power station. Strangely, during the development locals began to disappear, including a few children. Few structures remain today. The most notable being the two-story steel-frame building. Some local ultralight backpackers report hearing screams from the area and seeing children with red eyes peering from behind trees. This was confirmed by a California Psychics review as well. 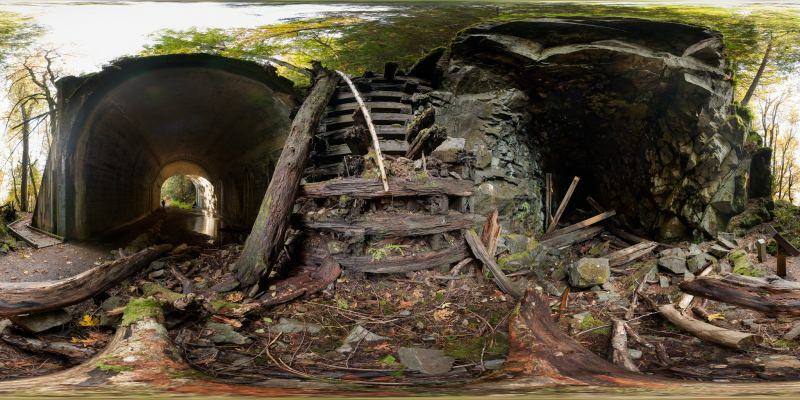 Hike down through the brush on one of the many long and creepy stone staircases and watch out for apparitions and the red-eyed children. 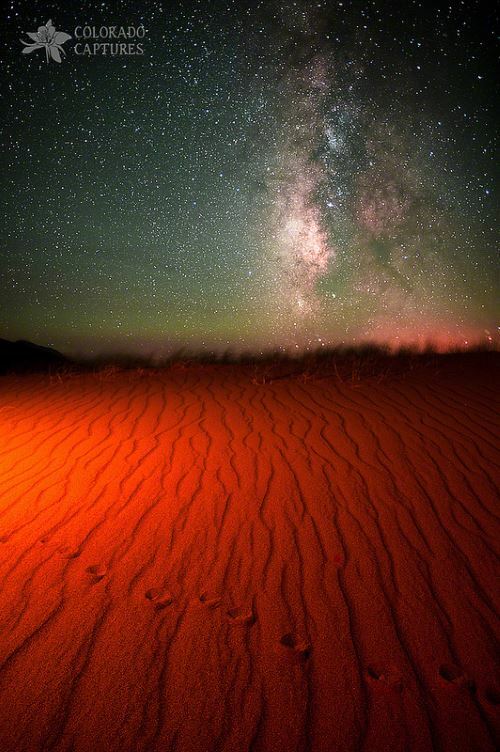 The spirits of long-dead Native Americans are said to be seen wandering these sands. But something else is seen here more than anywhere else. 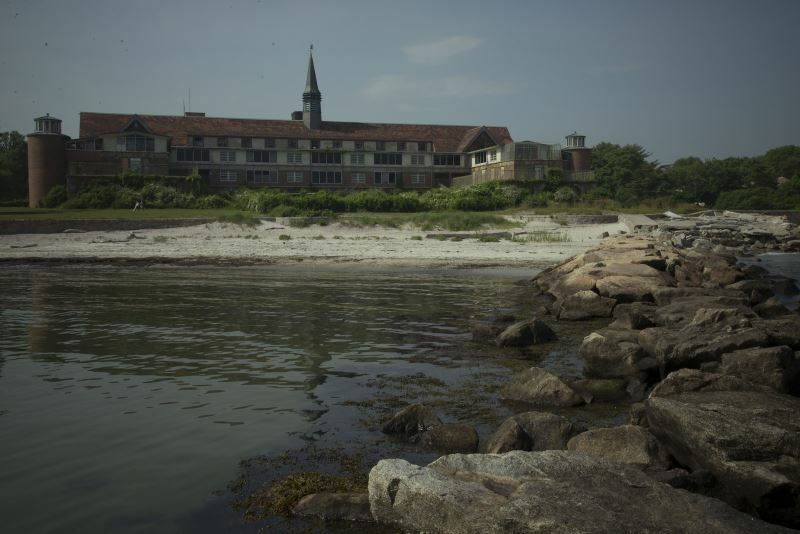 Opened in the early 1930s, Seaside Sanatorium was originally built to treat children with tuberculosis. It was meant to be place of healing. However, that didn’t go as planned and it has a long history of hauntings. Visitors often report hearing giggles from the corners of rooms, coughing, pleas for help, and the unnerving sensation of suddenly being tickled. Ghastly screams and the sounds of a young girl “begging for her life” are said to come from the woods just off the hiking trail around the pond. The screams are believed to stem from the 1970’s murder of a runaway girl here. Her killer was never caught and is rumored to live in the surrounding area. When you feel brave enough, go down to to Fernandina and explore Fort Clinch. There are a lot of things to explore and lot of spirits who may want to meet you. 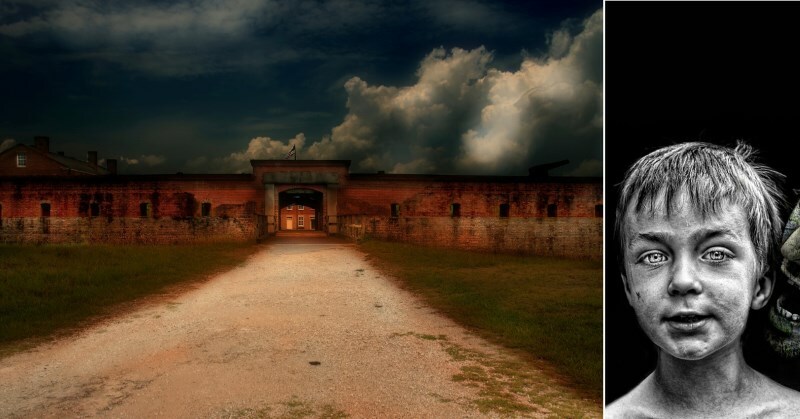 Some locals believe that contrary to what is taught in history books, soldiers died at Fort Clinch and rose again. It’s said this was due to witchcraft and dark arts practiced by those behind the walls. To this day you can sometimes see the apparitions of soldiers patrolling the area around the Fort. While taking a family stroll, a few children have alarmed their parents by screaming that someone just bit them. Yet, no one was around. 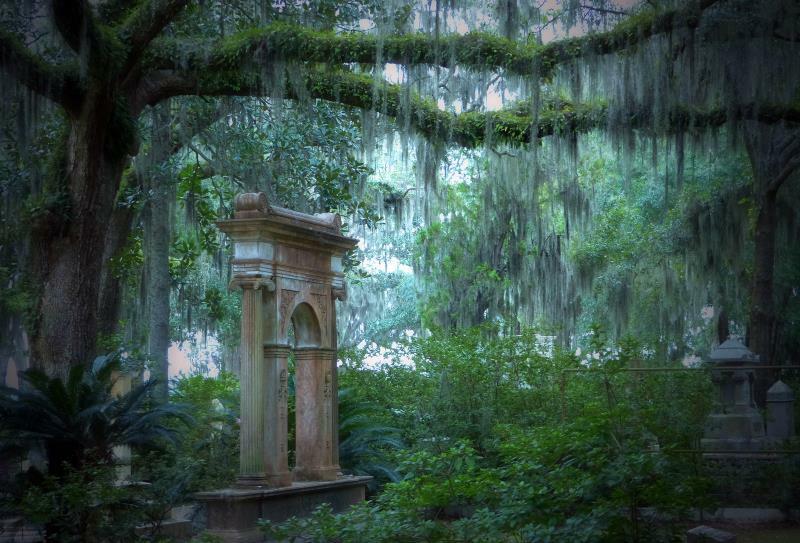 This haunted cemetery in Savannah was built in the mid-1800s and purchased by the city in 1907. It’s said that a pack of infernal ghost dogs roam the grounds after midnight, searching for prey. The spirit of Gracie Watkins is also seen here. Visitors often pay their respects by placing money, flowers or trinkets in the hands of her life-size statue. Visitors have reported seeing the statue cry tears of blood if the gifts are removed from her hands. It’s said that if you’re chased by the ghost dogs and make your way back to Gracie’s statue she’ll appear to protect you. 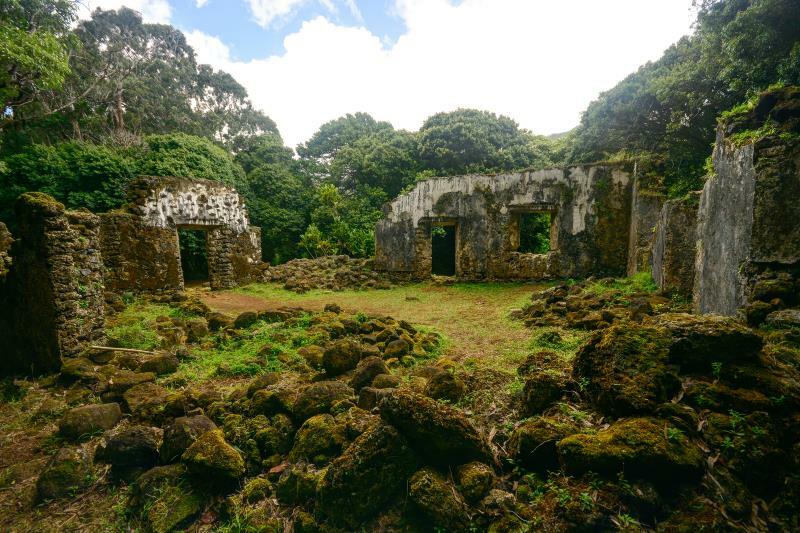 This is the only known remaining structure that is linked to King Kamehameha III. Taking a quarter mile hike through a narrow passage of bamboo trees will bring you to this powerful remnant of former royalty. It’s said their spirits still watch over the ruins and wander the grounds. Witnesses reported flickering lights and uneasy feelings here. The clanking of metal on bars is sometimes heard. Witnesses also report seeing etches suddenly appear in the walls then vanish. 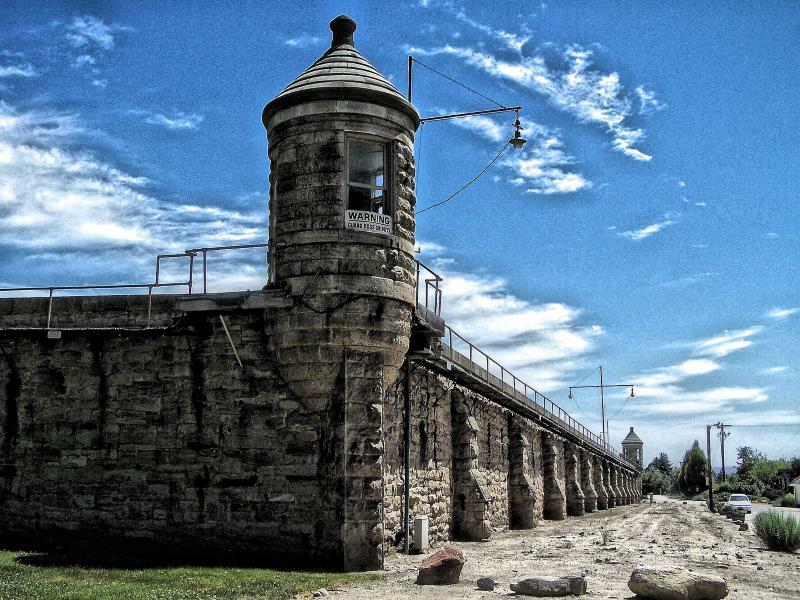 Since the 1970’s, visitors here have seen orbs, apparitions, phantom vehicles. 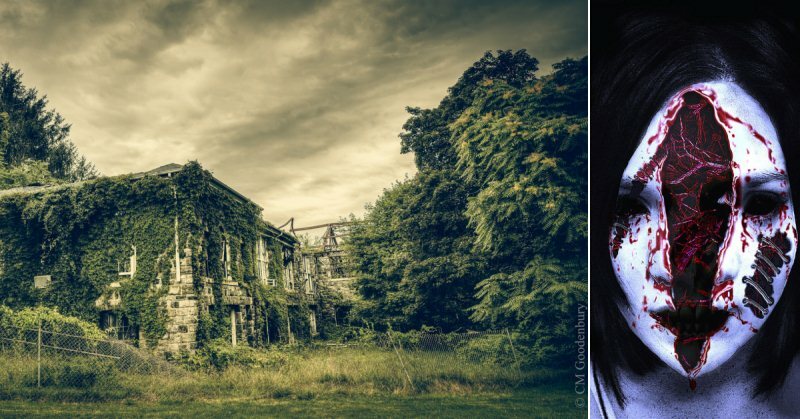 Some have even reported a floating, shrinking, and vanishing phantom farmhouse. There have been numerous reports of a floating black dog appearing after 10pm and chasing ghost researchers. 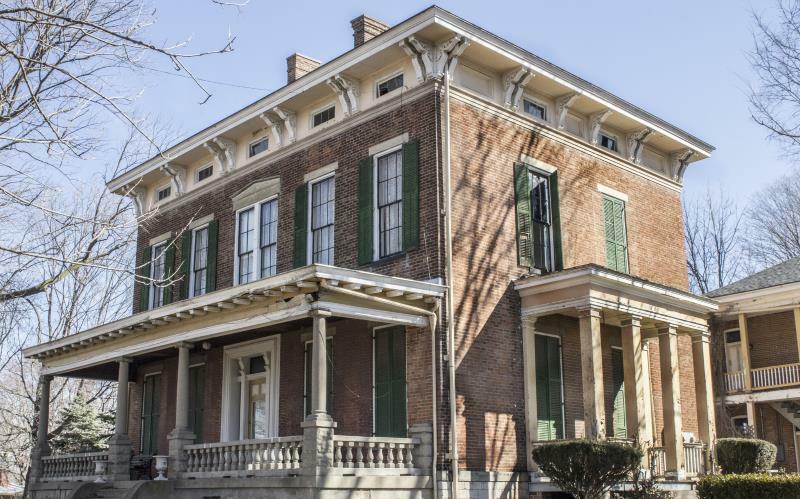 The ghosts who haunt this house are said to be former slaves, one of whom accidentally tripped over a lamp, and caught the house on fire. Many of the slaves were trapped inside the cellar and burned alive. 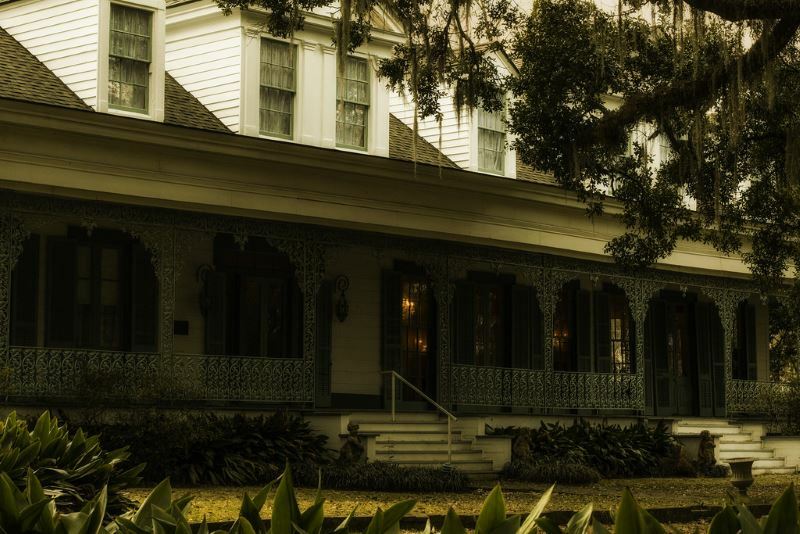 Visitors often report seeing visions of burnt slaves and hearing screams coming from the cellar. The former owner Mr. Hannah himself also has been seen upstairs and on the balcony. 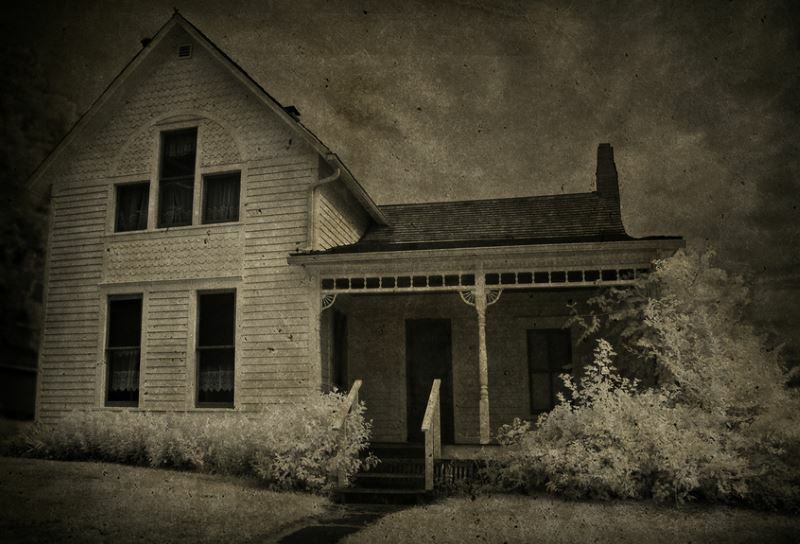 This house is haunted by the spirits of family members who were brutally murdered with an axe. Visions of people with gaping wounds appear in, and around, the house. Stull Cemetery is rumored to be one of several gateways to Hell. The Devil himself is said to appear on the grounds twice a year. 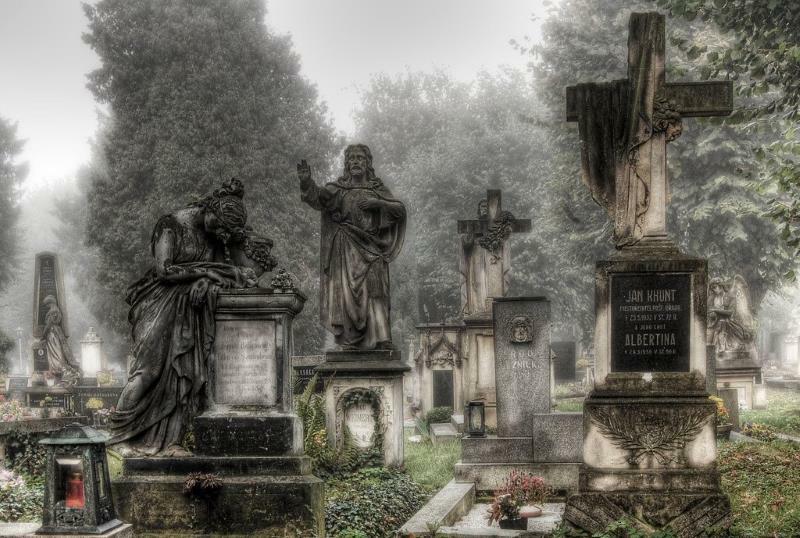 This cemetery has a long history of satanic worship, witchcraft, and occult practices. Near a tombstone bearing the name “Wittich”, visitors often report being grabbed by an invisible force. 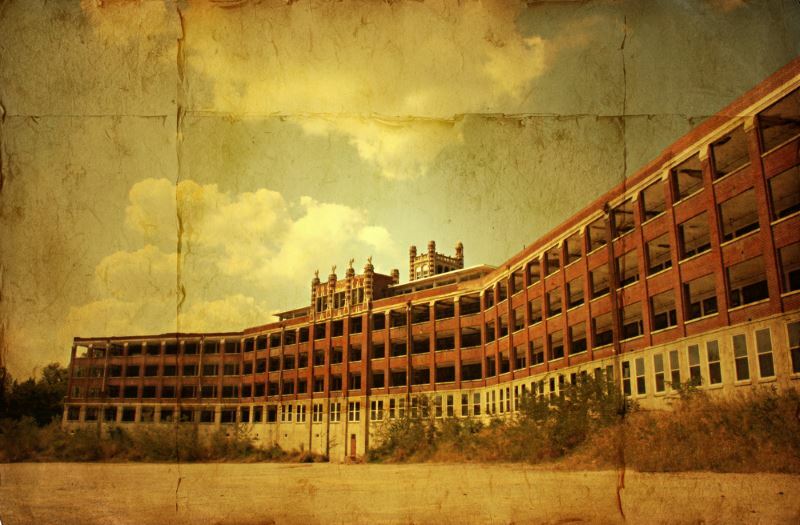 Originally opened in 1910 to treat tuberculosis patients, Waverly Hills experienced about 63,000 deaths. Intrepid explorer’s reports strange lights coming from darkened corridors, shadows shaped like a large man, and the sounds of squeaking wheelchairs. A wailing woman and the apparitions of angry slaves are often seen here. Some visitors report seeing leaves on the ground form the word “HELP”. In the late 1800’s young Annie Wilcox was brutally attacked in her sleep. Deep scratches were etched into her cheeks and she claimed she was attacked by an old woman with a melting face. Less than a month later Annie disappeared and her lifeless body were discovered by hunters, several miles away. The skin on Annie’s face was missing. Next to Annie’s body lay the body of an unknown old woman with a facial deformity. Annie’s mother hung herself soon after. Her two brothers soon drown in freak swimming accidents. Within a year Annie’s father went insane. He mutilated his own face, cutting the skin away and sewing on patches from bodies he dug up in the local cemetery. 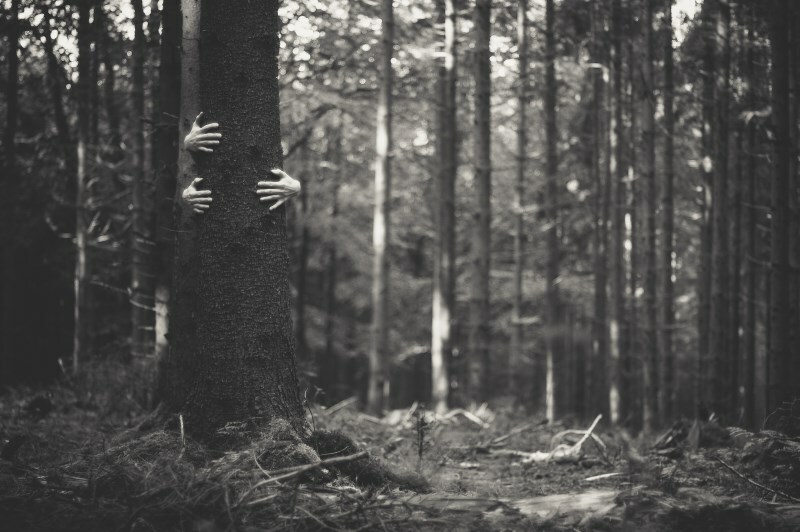 He was last spotted heading into the forest and was never heard from again. His body was never found. Today, terrified hikers and campers report seeing a young girl with a “face like melted wax”, standing on the periphery. Terrified locals have dubbed her the “Flesher Witch”. 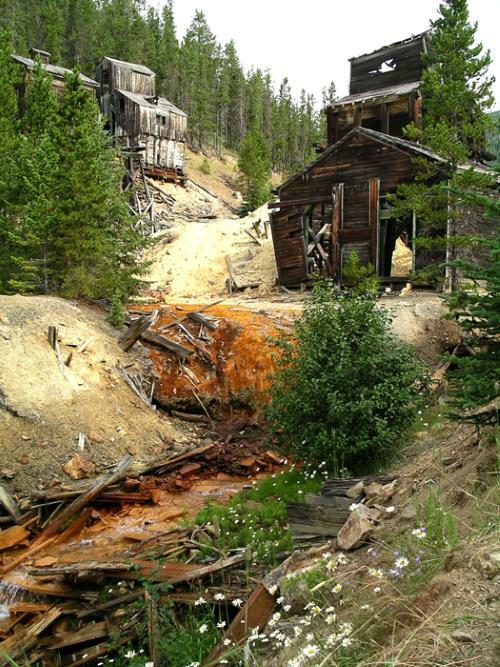 A miner was killed here in an explosion in 1906. Now this mine is haunted by a spirits called “Tommy Knockers”. The watchman, who first reported seeing one, described it as “a ghostie-looking man with eyes of fire and a tail 10 feet long”. If you want to take your chances with the Tommy Knockers, start your hike at the Great Falls Tavern Visitor Center. 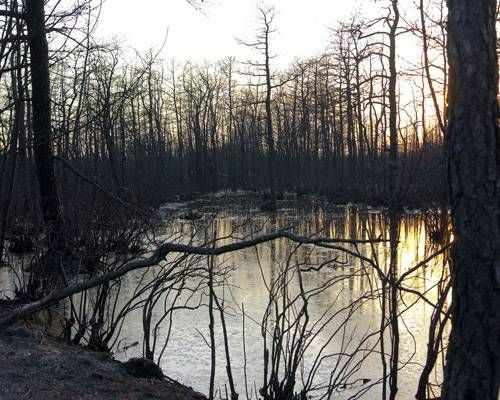 Stretching 5,441 acres in the southeastern corner of the state, the Freetown-Fall River State Forest is rampant with paranormal activity. 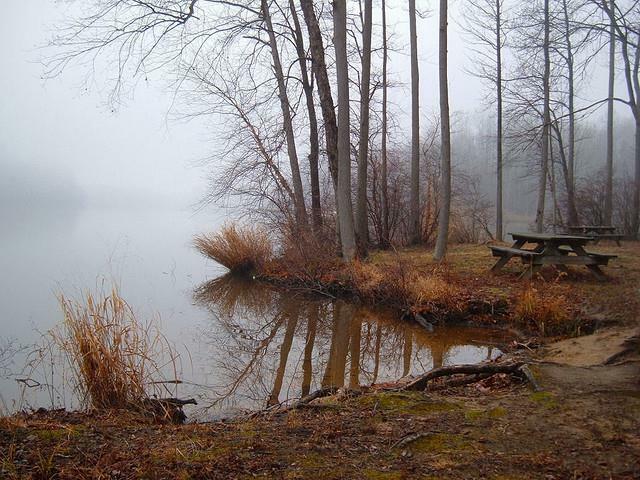 So much so that it has been nicknamed the Bridgewater Triangle. Hikers report seeing three-armed creatures, satanic rituals, and observing sacrifices. People report the sensation of being hit with a switch when entering certain rooms in the Old City Orphanage. Some say it’s the ghost of the orphanage nun, who once beat a child to death. A glowing green light is often seen in the basement then suddenly disappears. At Lake Julia Sanitarium tiny children are often spotted walking the grounds. Visitor’s reports seeing figures in the windows at night then vanishing. Those who explore the inside often report whispers and being touched by something they can’t see. Named after Stuckey, former member of the famous Dalton gang. Stuckey raped and murdered countless victims and threw their bodies into the river where the bridge now stands. He was eventually caught and hung. It’s said his angry spirit haunts the area. There have been numerous reports of people claiming to be pushed off the bridge by the ghost of Stuckey. If you want to test your luck, you can find the bridge on Stuckey Bridge Road in Savoy, where it intersects with Meehan-Savoy Road. Home of the Joplin Spook Light. It also goes by the name Hollis Light or Hornet Spook Light. The Spook Light is a bright ball of light that appears in this area called the Devil’s Promenade. Spook Light sightings go back to the mid-1800’s. Some believe the lights are the spirits of two dead Native American lovers searching for each other. Others believe the light is a harbinger of evil and those who spot it will soon succumb to disease and misery. Hikers often report visions of long dead miners here. The sound of horses and men being whipped are said to come from beyond the tree line. Created in 1885 to house the insane. Today visitors report hearing strange sounds and laughter coming from nowhere. Some have reported their mind suddenly clouded with images of patients being tortured. 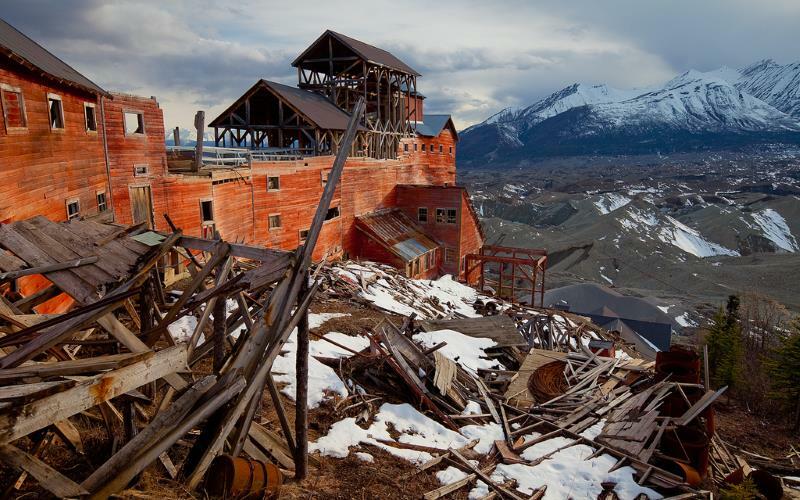 More than 35 miners were killed in a fire here, in 1869. 11 bodies were unrecovered and the spirits of those forgotten souls now haunt the mine; searching for a way out. Mount Chocorua is named after the Native American who murdered the family of his best friend, Cornelius. Chocorua son had suddenly died and he blamed his friend for the death, thus sought vengeance. In retaliation, Cornelius shot Chocorua to death at the top of the mountain now bearing his name. With his dying breath Chocorua cursed all white settlers. 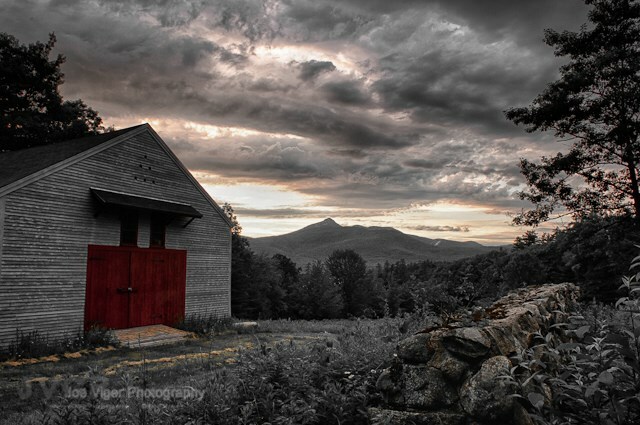 Ever since, crop death, famine, and disease have been attributed to Chocorua’s curse. As far back as the 1700’s hikers have reported seeing the Jersey Devil in these woods. There are over 2000 documented sightings of a creature with the head of a dog, wings of a bat, deformed horns and a forked tail. Pineland locals often hear unnerving screams deep in the night. If you can muster enough bravery, hike the 49 mile route, the Batona Trail section. That will take you into the Devil’s domain. Haunted by the ghost Pavla Blanca who was once a Spanish Maiden. Her husband-to-be, Hernando de Luna, died in the White Sands desert in 1540. 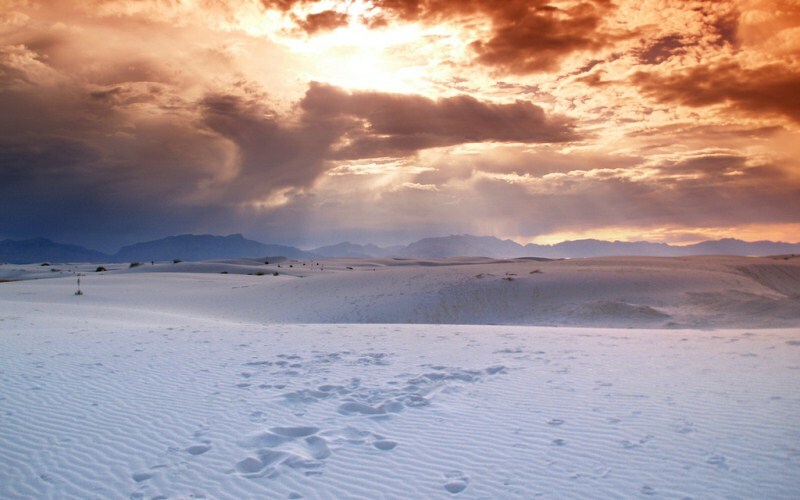 Pavla now roams the desolate sands after sunset, in her white wedding gown, searching for her lost love. 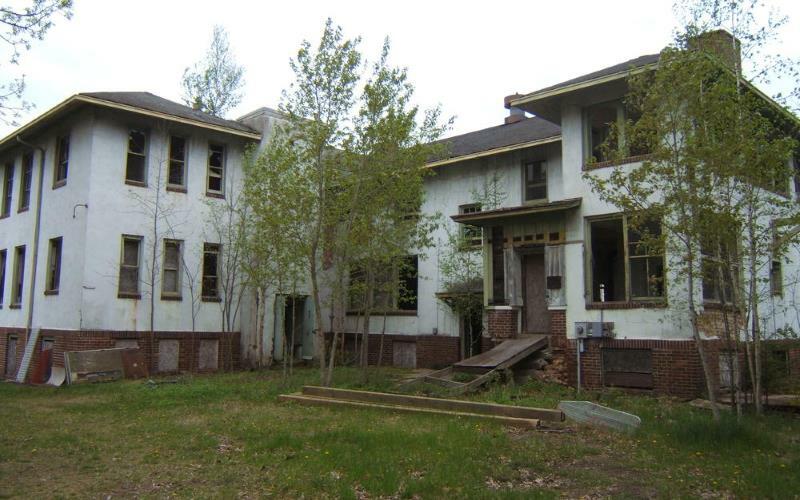 These are the haunted ruins of Letchworth Village. It was formerly known as the Institute for the Feeble Minded and Epileptic. Flickering lights and shadows moving between old equipment are a common sight here. The boiler room is said to have the most paranormal activity. 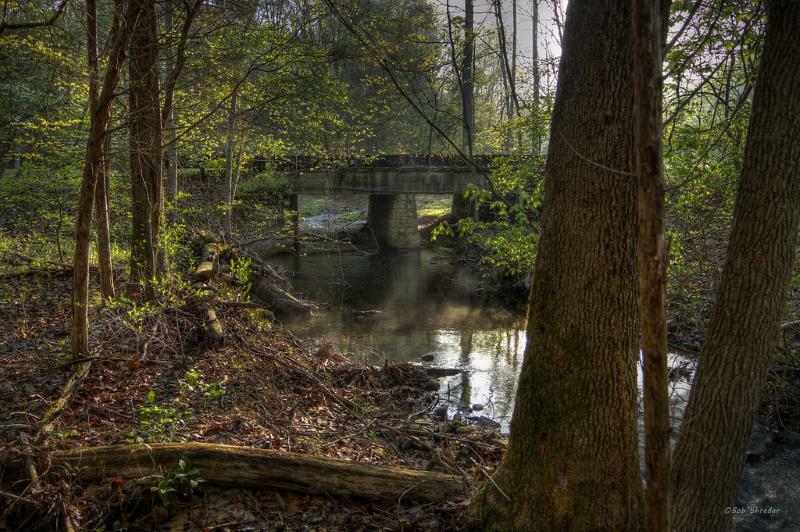 Spearfinger, a former Cherokee Indian and witch, haunts Norton Creek. If you hike here with your kids, keep them close. It’s said that Spearfinger feasts on lost children. 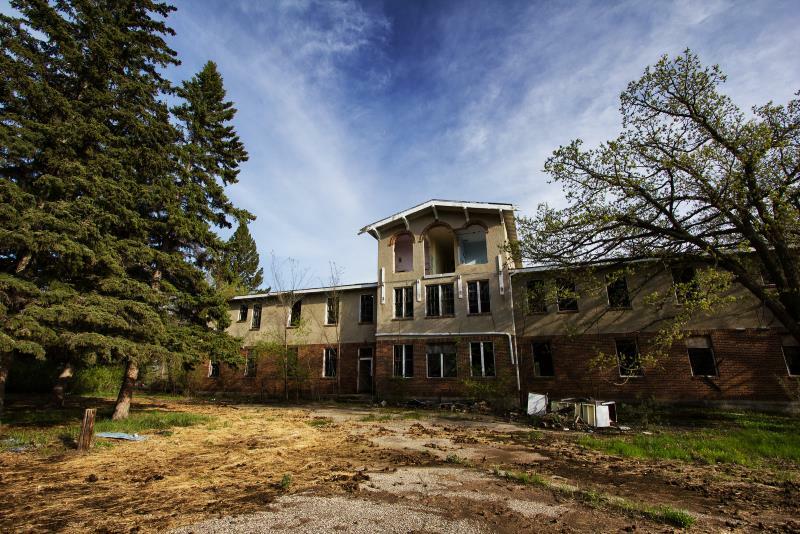 San Haven Sanatorium was built in 1909 as a hospital for tuberculosis sufferers. 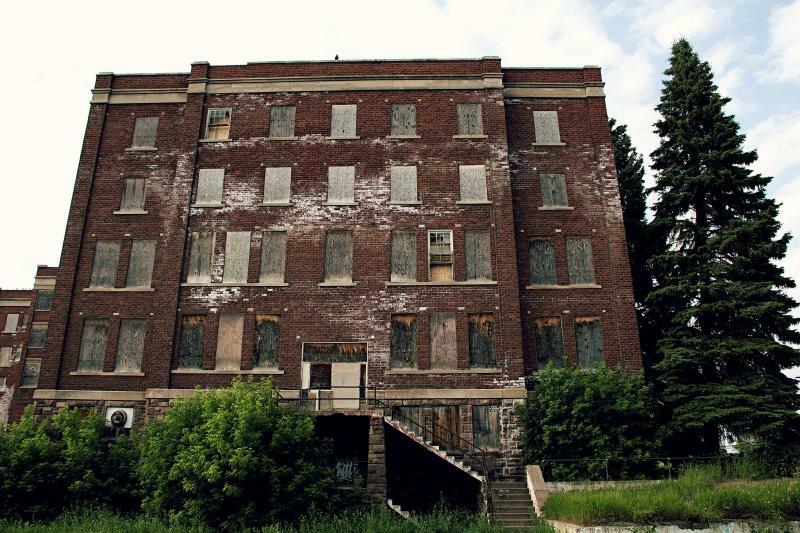 Once housing over 900 patients, it’s now home to the spirits of forgotten children. The eerie cry of babies can sometimes be heard throughout the dark corridors. 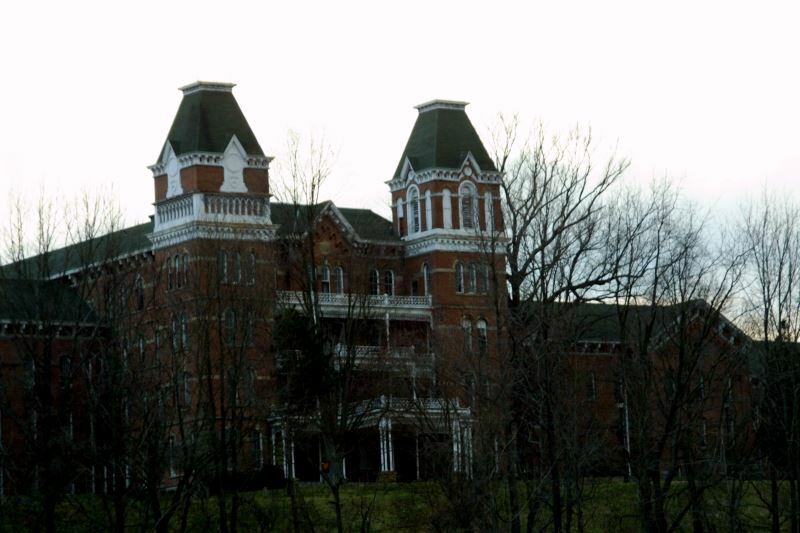 Athens Lunatic Asylum is considered by many to be one of the scariest places on Earth. 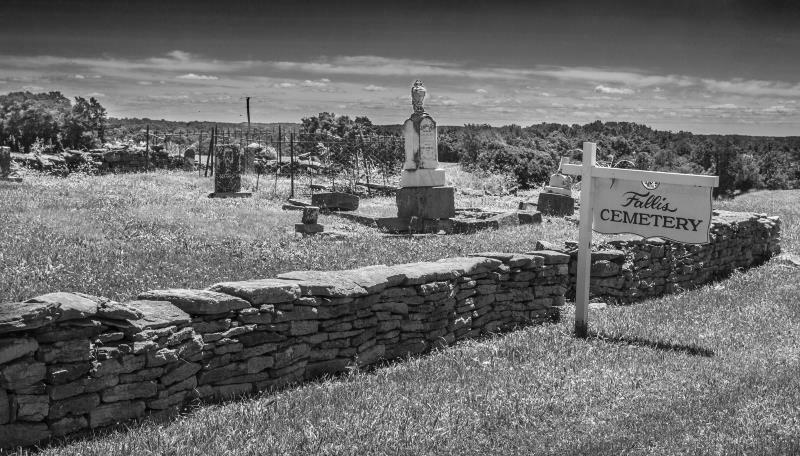 Contained within the three surrounding cemeteries are 1,930 graves marked by only a number. Researchers recently discovered that many of the dead mental patients were veterans, suffering from the traumatic events of war. Which may explain the frenetic pace of the apparitions here. They tend to move at a quick, uneven gait, with jerky movements. Some have described it as “seeing a ghost in a strobe light”. Visitors who bring their children to Fallis Cemetery are started to see their child speaking to someone who isn’t there. In a real-life case of “I see dead people”, parents are warned not to leave their child unattended here. 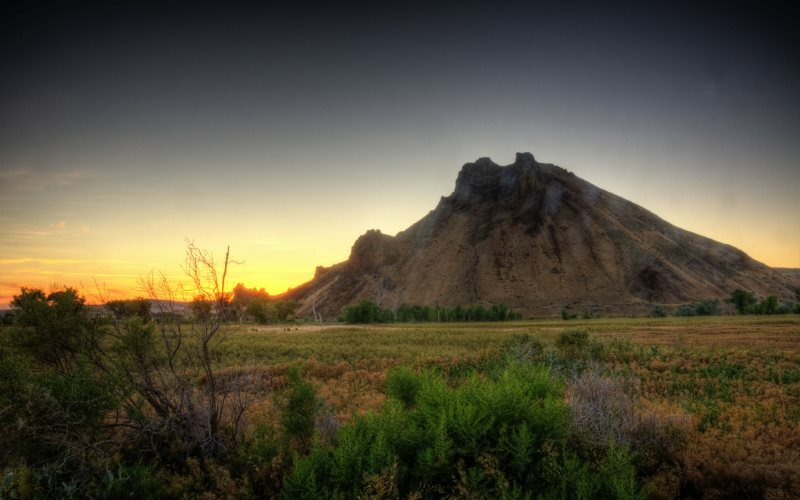 Malheur Butte is not only a dead volcano, it’s also the former meeting spot for a powerful coven of witches. Locals believe the witches will return and have left their shadows behind to protect their land. 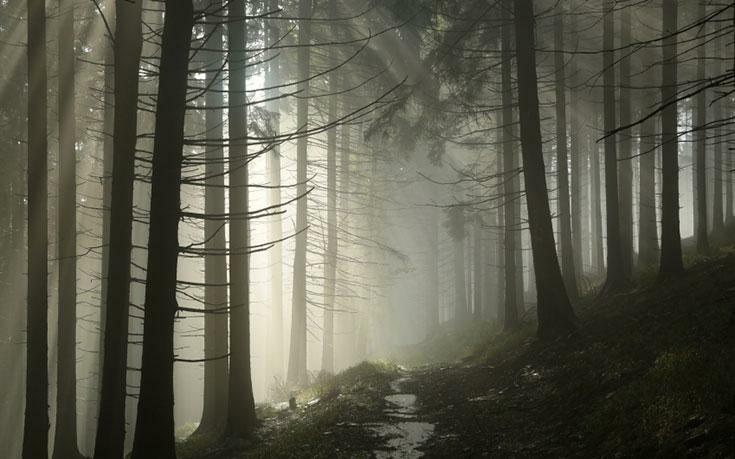 Hikers and visitors report being chased away by “menacing shadows that screech”. 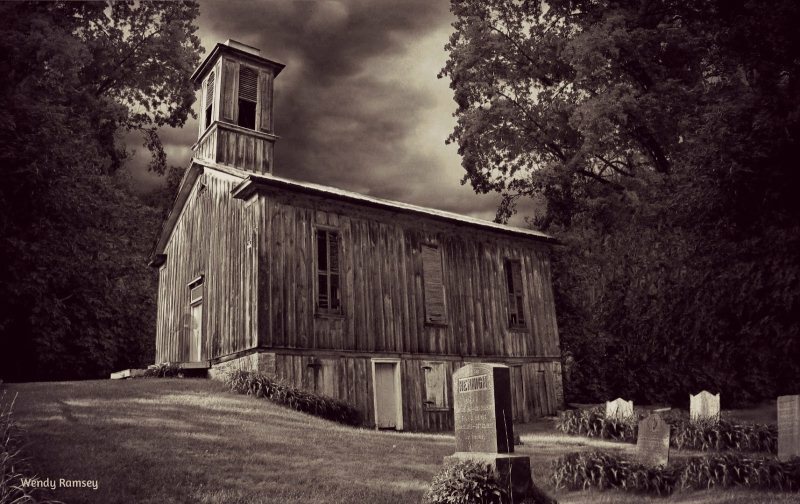 Egg Hill church is haunted by the restless and angry spirits of congregation members who were murdered by their own Reverend. Visitors today often report wailing from within the walls and finding bloodstains around the church. 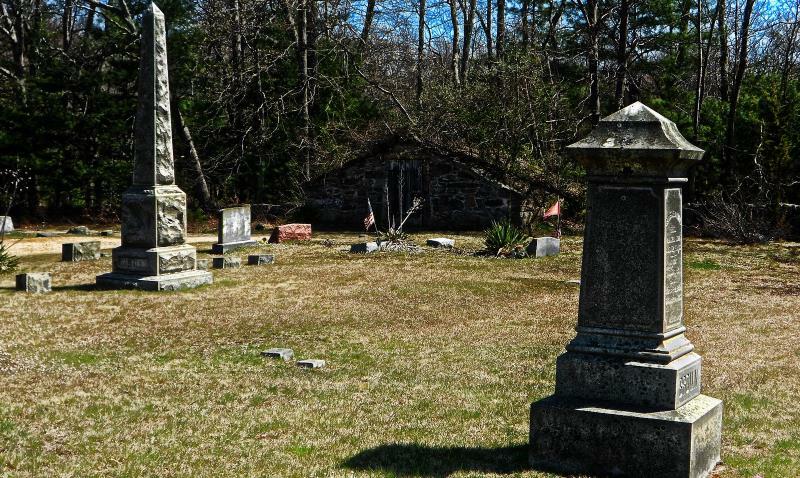 Chestnut Hill Cemetery is reported to be the home of a vampire named Mercy Lena Brown. Her origins date back to 1892 when she passed away and was buried inside a crypt. Mercy’s family members experienced sudden, unexpected deaths and were buried in the same crypt. However, some townsfolk had suspected Mercy of being a vampire and thought she was responsible for the death of the family members. They opened the crypts and inspected the burials and found that Mercy’s contained freshly turned earth. Fearing the worst, they dug up Mercy’s body and cut out her heart. Rather than being dried and decayed, it was fresh and dripping with blood. The townsfolk burned the heart atop a stone wall in the cemetery. However, in the following months other locals experienced quick deaths. Once again, the town dug up Mercy’s grave. Only this time, Mercy’s body was nowhere to be found. Some believe that she still lives today in the surrounding vicinity; preying on the inspecting. 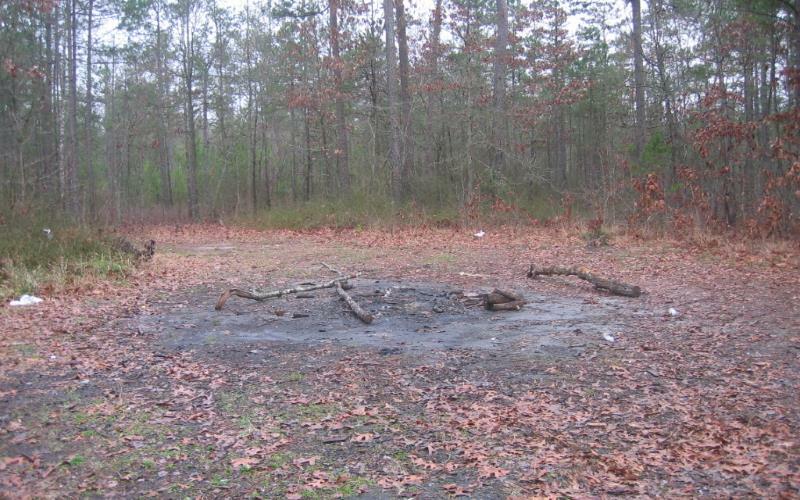 The Devil’s Tramping Ground is a 40-foot circle in the middle of a forest in which nothing will grow. For over 100 years, locals have told stories of the Devil himself rising in this spot, from the depths of hell, to survey the state of the world before his ultimate return. Reportedly, a geological team researched the area and were unable to determine why life is incapable of growing within the ring. In 1973 a group of five teenagers were attacked here. Four of the teens were brutally murdered. The sole survivor was raped. Hikers report hearing unintelligible voices, gunshots, and wounds suddenly appearing on their body. This area is the dwelling of the “The White Screamer”. The piercing sound it makes is said to drive humans and animals into a murderous frenzy. Locals say that in the 1920’s a family moved into this area. Each night they would hear a terrible cry coming from the woods. Unable to take it any longer, the husband decided to investigate the source, shotgun in hand. Upon reaching what he thought was the source of the screaming the sound suddenly seemed to come from back at the farm. Running back to the farm in a panic, he found his family murdered and dismembered, body parts strewn about the area. To this day, the family member graves and foundation of the house can be seen. Camp Lulu is abandoned summer camp for girls. Local legend says a camp counselor, in a sudden fit of insanity, murdered over a dozen teenage girls here. 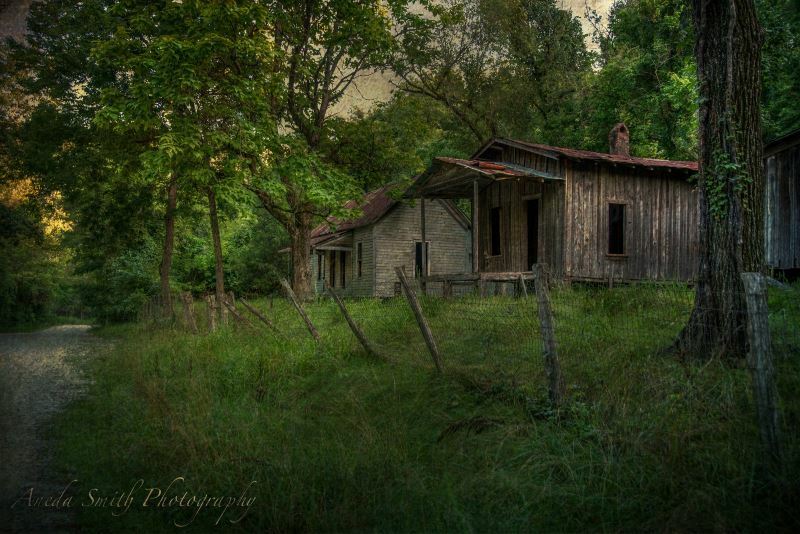 In 2006 a hiker reported finding a hidden, run down, cabin in the area. Upon investigating he discovered a room with old porcelain dolls. He reported hearing whispers from the dolls and fled the cabin in a panic. 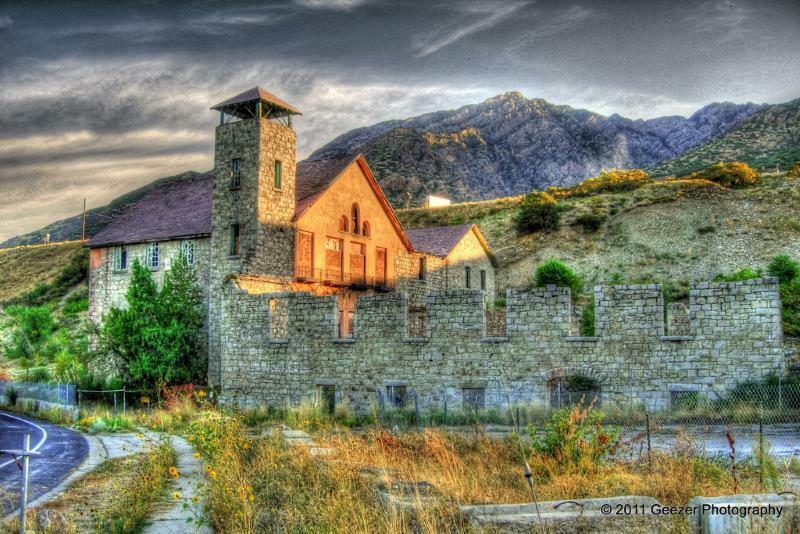 Built in 1883, the paper mill is located at the mouth of Big Cottonwood Canyon in the Salt Lake Valley. It’s now abandoned and access is restricted. Those who have managed to get in report sightings of disembodied spirits, and open doors suddenly closing and locking behind them. 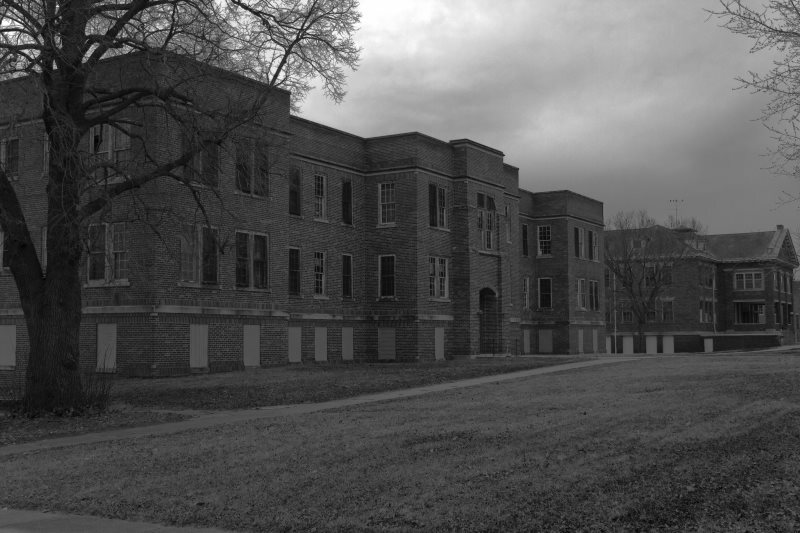 Founded in 1834, this was previously known as the Vermont Asylum for the Insane. 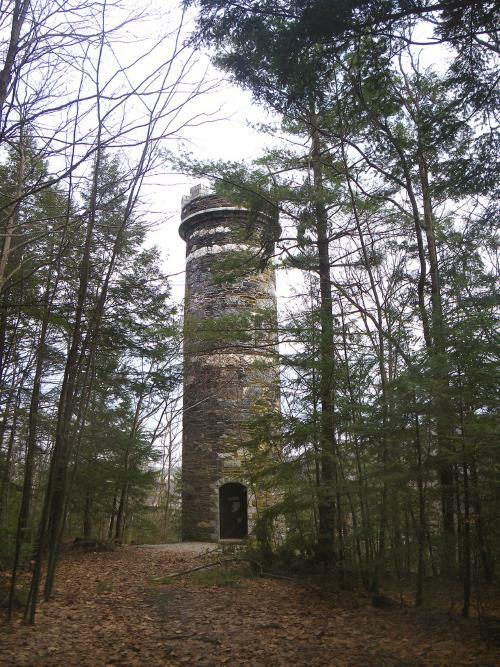 The Retreat Tower itself was built between 1887 and 1892 by patients. Locals say that that numerous patients killed themselves by jumping off the tower, which forced the closure. 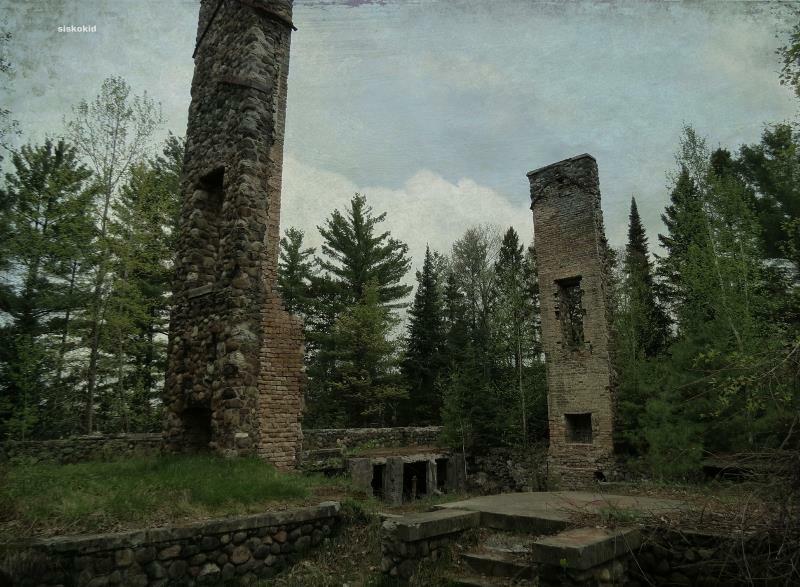 Sightings of apparitions jumping from the tower, but never hitting the ground, are often reported. 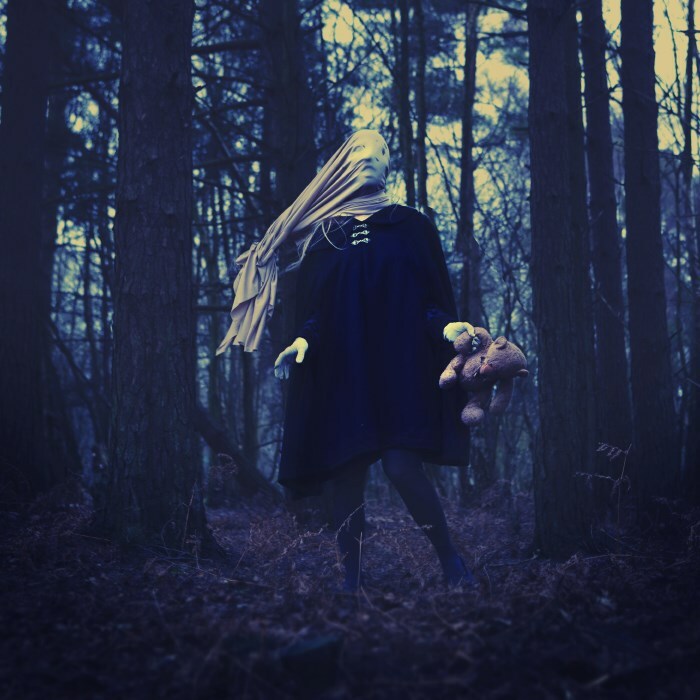 The spirit of Four-year-old Ottie Powell roams these woods. Ottie originally vanished in 1891 and his body was discovered five months later near Bluff Mountain. Hikers report meeting a young boy in these woods who asks for directions then disappears. At this trail you’ll go hiking along a 5.7 mile loop. Nearly 100 lives ended in a railroad disaster here in 1910. The worst in US history. The disaster was caused by an avalanche derailing two passenger trains. The tracks were moved to a different location after the accident but you can still explore the the black tunnels if you dare. 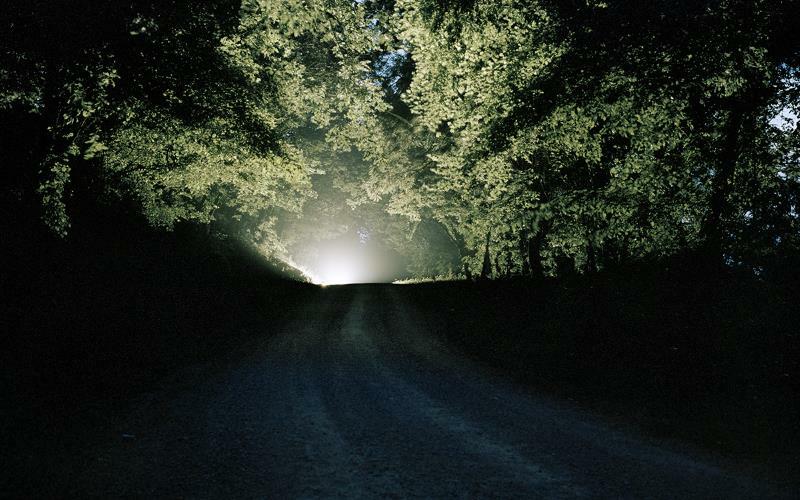 A few hikers who have gone into the tunnels report apparitions trying to “find a way” out. 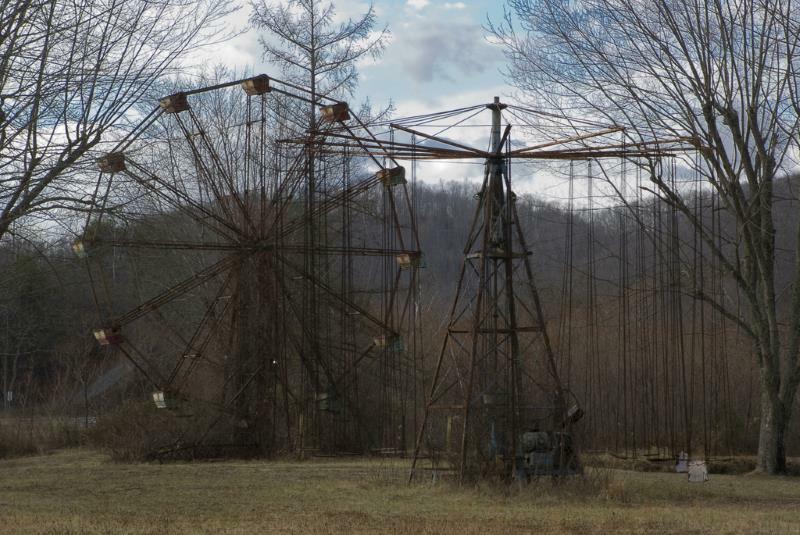 The Lake Shawnee Amusement Park was abandoned in 1966 after experiencing horrible accidents and terrible massacres. Today, the creaky wooden swings and rusted Ferris wheel are haunted by restless and confused spirits. The ghost of a young girl killed here, can be seen playing on the equipment, wearing a blood-soaked pink dress. The spirit of young boy is often seen thrashing on the ground near the area of what used to be the pond. Once a summer home for the Lamont family. Reported hauntings in this area began as soon as the Lamont’s moved in. Robert reported seeing a ghost within the house and fired a gun at it, leaving a bullet in the basement doors for years. Upon the passing of the Lamont’s a new family took ownership and reported seeing shifting shapes and uneven shadows moving throughout the house. In the early 1980’s the house was abandoned and in 1988 it was struck by lighting and burned to the ground. Hikers and visitors report experiencing an overwhelming sense of fear and anger in the area. 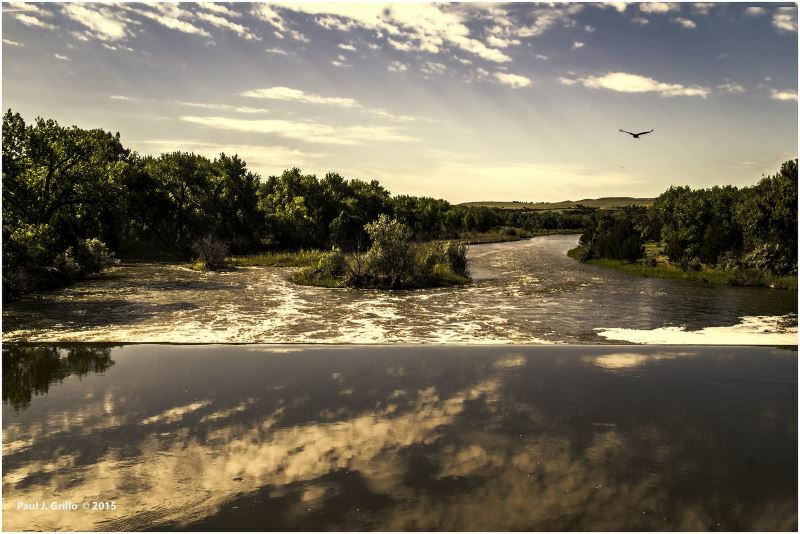 As far back as the 1800’s there have been reports of an old ghost ship appearing on the Platte River. It’s said to be a sailing ship with masts covered in frost. The ship’s crew usually appear huddled together around a corpse. When they disperse the identity of the corpse is revealed to be someone the onlooker knows. A trapper named Leon Weber saw his fiancé on the ship in 1862. In 1903, Victor Heibe saw a friend on board the ship. Each sighting was followed by the death of the person seen on the deck. 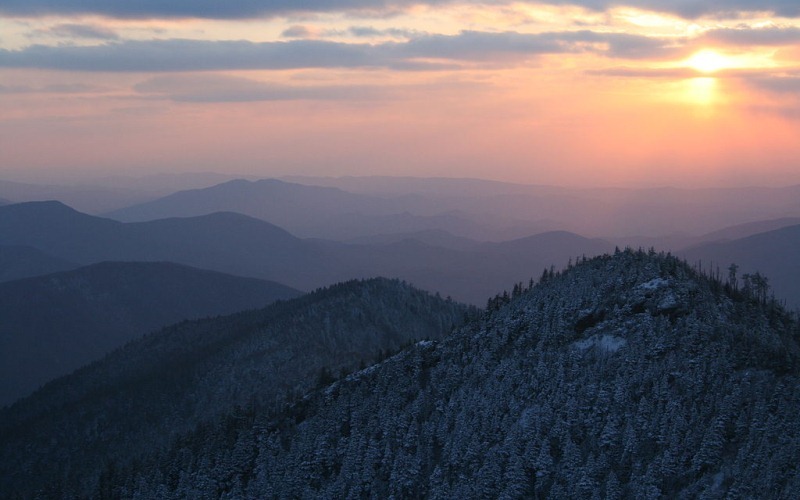 Gather your courage, gather your friends, and hike one of the locations on this list. If you’re really brave, try a night hike and keep your eyes peeled. Do you think you could hike one of these spots at night…alone?